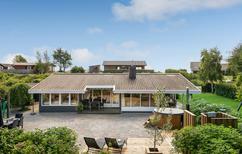 Enjoy the panoramic view from this holiday home in the north of Bornholm. ​Bornholm | This island in the eastern part of Denmark has a coastline of more than 150 kilometres. Steep cliffs interchange here with gently sloping sandy beaches. 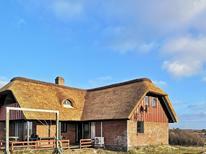 Holiday home for up to ten people in the south of Rømø. Rømø | Denmark’s southernmost island invites both a long summer holiday and one short trip or another. 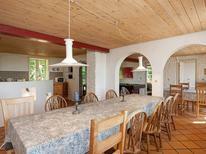 Several holidaymakers will feel at home with four or more bedrooms in these holiday homes. 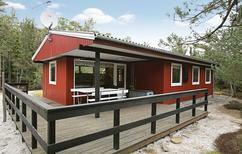 Holiday house for 6 people in the marina of Hasle. 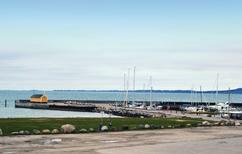 Bornholm | The Danish island is renowned for its child friendly beaches. These modern terrace houses with view across the Baltic Sea are directly at the marina of the village Hasle. A holiday house in Denmark costs on average USD 347 in the cheap travel period and USD 1,140 in the peak season per week. These details are of course in relation to the house and not per person as well as includes the obligatory additional charges. Quote Hamlet on the ramparts of the real Elsinore Castle or walk the length of a Viking longship when you stay at holiday home in Denmark. Sink your teeth into an authentic Danish pastry. The delights of holiday apartments in Denmark are yours to discover when you book your home from home. Witness the remarkable play of light and colour that illuminates the beaches sequestered along Denmark's North Sea coastline. Visit Copenhagen's famed autonomous anarchist district, Christiana. Soak up the sophisticated yet cosy 'hygge' aesthetic together with your family. Live like Danes do and see this remarkable country from the inside with holiday apartments in Denmark from TUI Villas. 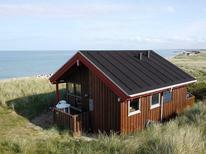 Thy National Park is one of Denmark's newest, a 55 kilometre stretch of coastline on the North Sea. Discover picture perfect beaches, interspersed with fishing hamlets and interwoven with horse and hiking trails. There are plenty of cycle paths stretching between pine forests and lakes as well as a smattering of German World War II bunkers. At low tide you can drive over the mudflats to Mando Island, eight square kilometres of uninterrupted serenity in the heart of Wadden Sea National Park. Or while away the hours with a little boating or fishing on Esrum So, Denmark's second largest lake. It is overlooked by Fredensborg Palace and bordered by the Gribskov Forest. 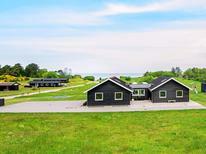 Explore the spectacular scenery that surrounds holiday homes in Denmark today. Strike Viking gold at the Fugldegard Visitor Centre, which displays a glittering Viking horde of twelve thousand artifacts. Kids can dress up as Vikings. Lindholm Hoje near Aalborg was an important Viking port and the location of nearly a thousand Viking graves ringed by beech trees. The museum on the site displays accompanying archaeological findings. A visit to Denmark would not be complete without a stop off at the Viking Ship Museum. Marvel at five original Viking ships that were discovered at the bottom of Roskilde Fjord. Your ticket also gives you access to the museum's workshop, where the ships were restored to their former glory using traditional techniques. The Moesgaard Museum just outside Aarhus is housed in a remarkable modern construction where Stone Age and Viking artifacts are displayed, including the two millennia old Grauballe Man. The Unesco World Heritage listed Kronborg Slot is well worth the pilgrimmage, if not for being the inspiration for Elsinore Castle in Shakespeare's Hamlet, than for its sheer Baroque beauty. Spires seem to pierce the skies at this moat encircled gem of a castle. Shakespeare never visited but the subterranean labyrinth of dungeons is the perfect place to imagine the play's ghostly goings on. The country boasts a number of ancient castles which make ideal day trips from your own holiday home in Denmark. Aarhus is a cosmopolitan centre in Denmark but less visited by international travellers. Discover Danish modernism at the ARoS Aarhus Kunstmuseum, where kids will love playing in the panoramic rainbow that crowns the building. Christiania is a feted stop on any cultural tour of the city. This bizarre commune on the border of Christianshavn was founded in 1971 as a centre for nonconformist, communal living. The social experiment continues, thanks to support from the wider Copenhagen community. Children will be whisked off their feet (literally) at the more family-friendly Tivoli Gardens. The amusement park, which dates to 1843, is regularly a venue for free music concerts. The Statens Museum presents Renaissance works by old masters including Rubens and Breughel as well as the world's most comprehensive collection of Danish masters, from Hammershoi to Eckersberg. All this lies on the doorstep of your holiday home in Denmark. Many of the traditional inns in Jutland are worth travelling for. All the produce served here is grown in the vast garden at the restaurant, which is located near to pristine beaches and the hamlet of Henne Kirkeby. Copenhagen's Geranium has three Michelin stars and its chef, Rasmus Kofoed, is responsible for such Nordic masterpieces as lobster with sea buckthorn and carrot juice. Meanwhile Noma has been named the best restaurant in the world and has a waiting list to match, so book well ahead if you wish to dine here during your stay at your holiday home in Denmark. Denmark's more remote delights are often missed by visitors. Discover Bornholm, an island floating in the Baltic Sea on Denmark's east coast which is home to pristine beaches, the ancient round church of Ostelars and a ruined clifftop castle, Hammershus. With a population of just 650, Rømø Island is Denmark at its most remote and magical. Run wild on the beaches of the Wadden Sea National Park. Discover the home of the Little Mermaid's author, Hans Christian Andersen. Funen is also home to an open air museum devoted to local life in the 1850s, the Danish Railway Museum and the family-friendly Odense Zoo. Denmark has three main international airports which are served by a number of airlines. Car rental is available at all international airports and major motor routes are normally clear, even in the winter months. Travelling by train can be an enjoyable alternative and services to Copenhagen run several times a day from most major British cities. As every Dane will tell you, Denmark's ravishing beauty is best appreciated when the days are at their longest, which is between the months of May and August. During this time the countryside erupts into colour and buzzes with life. The country's beaches are most hospitable in the summer, though they can also be beautiful during the shoulder seasons. For city breaks Christmas is a magical time of the year, when Denmark really comes into its own. The buildings are decorated with snow and Christmas markets are full of stylish gifts, delicious treats and warming grog. Children are delighted by the chance to see real reindeer and enjoy winter sports. The Danish Krone can be purchased at a relatively favourable rate. British nationals do not require a Visa to enter Denmark. If travelling with pets, your pet will not be quarantined but will require a pet passport or EU health certificate as well as a microchip and proof that all vaccinations are up to date. Birds are not permitted. In most places, Danes speak fluent English in addition to the national language.